As we enter into the final stretch of the year here in Berlin, one thing above all else marks the transition from November into December. It's not the steadily shortening days, the last remnants of autumn foliage clogging the gutters or the wintry nip in the air. No, it's the annual opening of the Christmas markets, which cheer up the city with their twinkling lights, seasonal treats and festive hustle and bustle beginning from the end of November. 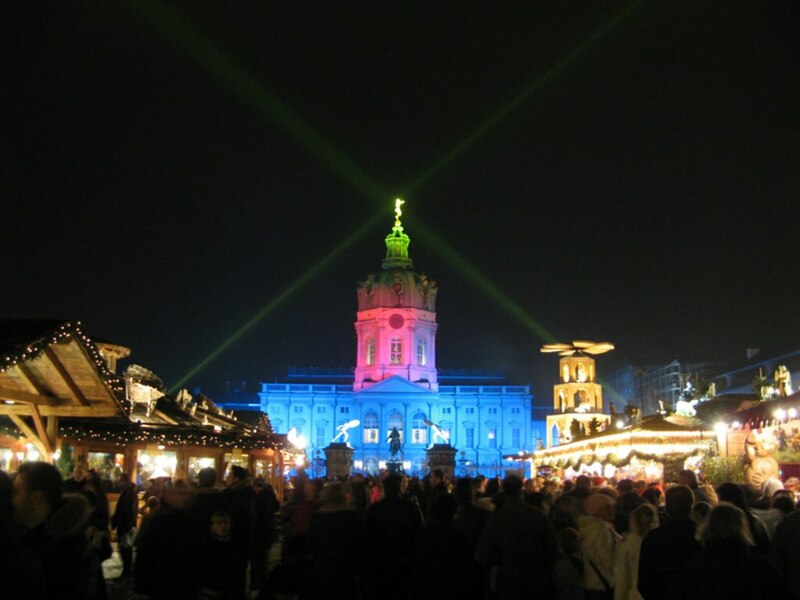 The pretty lights of the Gendarmenmarkt market. Image by Gitta Zahn via CC BY 2.0 licence. Don't underestimate the hangover potential of Glühwein! Those ubiquitous and innocent-looking mugs of sweet, mulled red wine are a part of every German Christmas market experience. They're warming, delicious, and also particularly adept at causing a pounding headache the next morning. Pace yourself and make sure to eat plenty of Rostbratwurst to steel yourself against the alcohol. Another tip: pay the deposit to have your Glühwein served in a festive ceramic mug, which you can keep and take home as a souvenir. 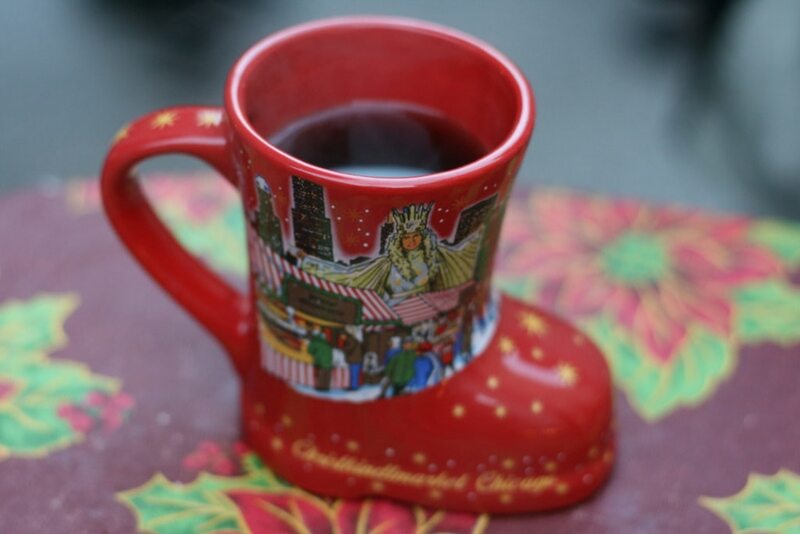 An oh-so-warming mug of Gluhwein. Image by matthewokeefe via CC BY 2.0 licence. Do come hungry so you can try plenty of the treats on offer. My favourite indulgences are langos, a disc of fried dough smeared with garlicky sour cream and topped with cheese and ham, fragrant roasted chestnuts and Gebrannte Mandeln - whole almonds candied in caramelised syrup. If you smell something sweet wafting through the market air, it's probably Gebrannte Mandeln - or maybe soft, freshly fried miniature doughnuts made with Quark cheese. Try those too! A good place to do some festive shopping. Image by wlodi via CC BY-SA 2.0 licence. Don't assume all Christmas markets are created equal. Different markets have very different personalities, so choose wisely. The market at Alexanderplatz may be centrally located but it's far too soulless for my taste, though thrill-seekers and teenagers will appreciate the Wintertraum Christmas-themed amusement park just down the road, next to the Alexa shopping mall. For a quaint, neighbourhood feel, the Alt-Rixdorf Christmas market in a village-like corner of Neukölln is the one to try, though it's only open for one weekend only, from December 4-6. 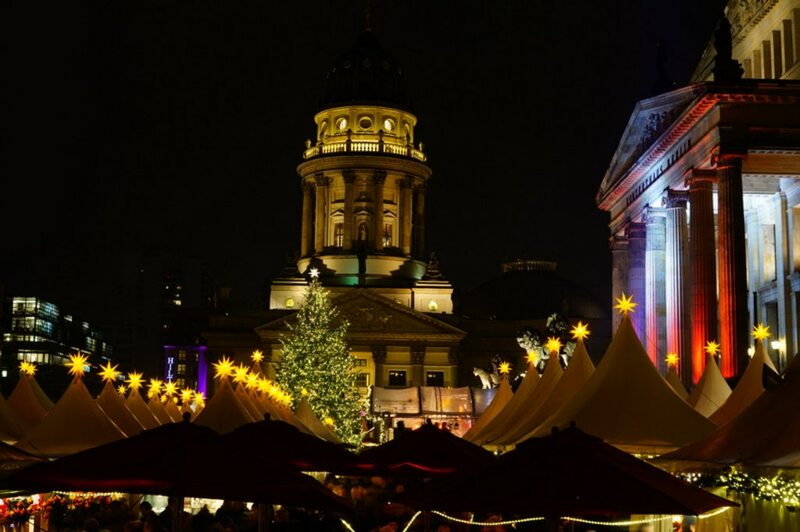 A first-timer should definitely visit the Gendarmenmarkt Christmas Market in Mitte, which is set against the beautiful backdrop of the grand square's two 17th- and 18th-Century cathedrals. Likewise, the stunning scenery is an added bonus at the Christmas market at Schloss Charlottenburg, a palace that was home to the Prussian Hohenzollern royal family. As it's much more spacious than the somewhat snug market at Gendarmenmarkt, this is one of my favourites. Do dress as warmly as you can possibly manage. Don't rely on what the weather app on your iPhone says - Berlin winters are notoriously damp and dank, which never fails to make the temperature feel much more bone-chilling than expected. Wear extra socks to the Christmas market. And a hat. You can thank me later. 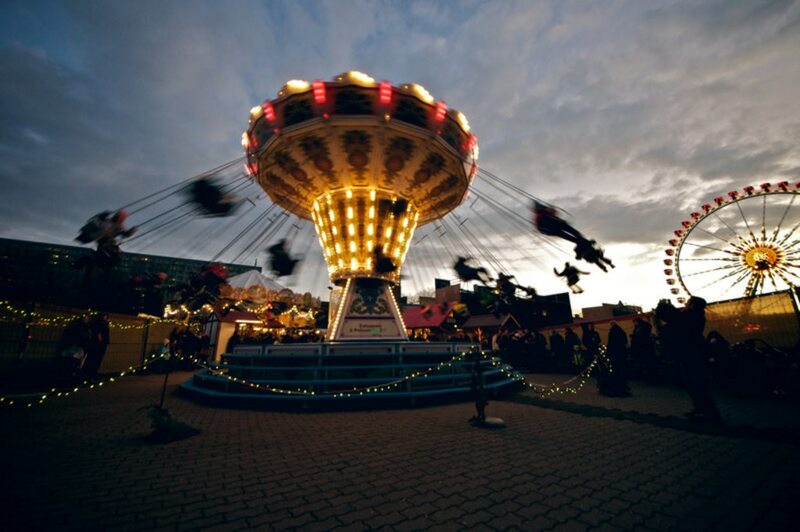 A glimpse of the fun fair festivities at Alexanderplatz Christmas market. Image by Robert Agthe via CC BY 2.0 licence. Don't expect to get a good deal of Christmas shopping done - the markets are mostly about eating, drinking and mingling. Though every market will have plenty of stands to browse selling things like ornaments, toys, mittens and other handcrafts, many stands seem to sell the same things and there isn't much variety. As a general rule, I don't find much that I want to buy at the Christmas markets, though two exceptions would be the Alt-Rixdorf market mentioned earlier, which features plenty of wares from independent crafters, and the market along Sophienstraße in Mitte. Open the first three weekends in December, this self-described 'environmental' market prides itself on carrying plenty of handmade and fair-trade goods. Bright lights at the Schloss Charlottenburg market. Image by Olivier Bruchez via CC BY-SA 2.0 licence. 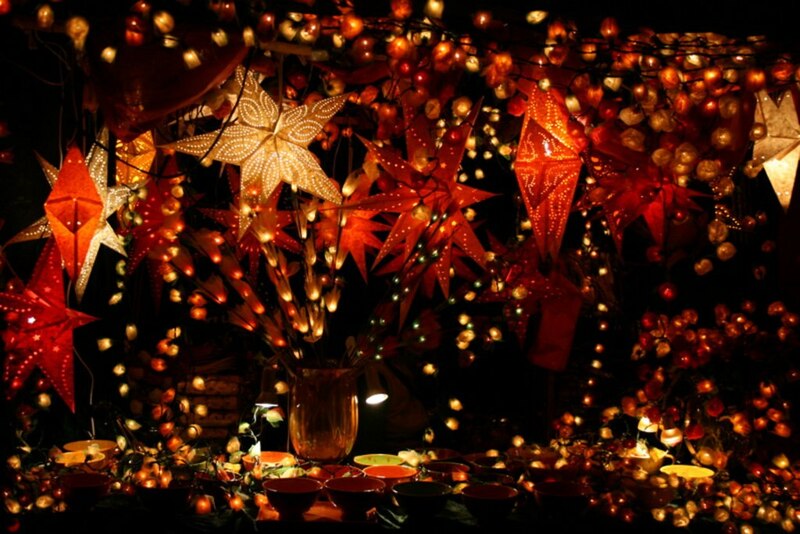 And last but not least: Do be adventurous and visit as many markets as you can in December. And have a great time! Ready to explore Berlin's wide range of Christmas markets? Take a look at our latest hotel deals to start your trip planning! Five amazing winter sun destinations: Great weather guaranteed! Marrakech: The ideal winter break destination?